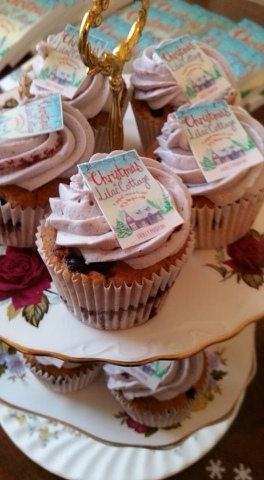 On Friday I was lucky enough to attend the launch of Holly Martin's fabulous new novel Christmas at Lilac Cottage. This is the first novel in the White Cliff Bay series, with the next novel in the series, Snowflakes at Silver Cove following hot on its heels releasing at the end of October. 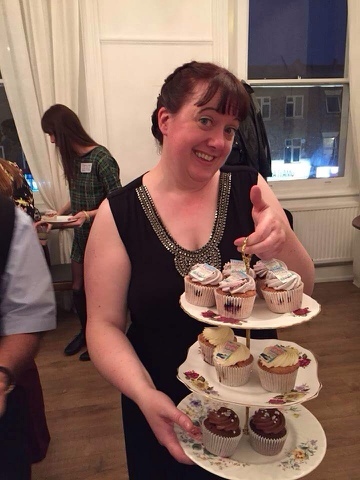 There was a definite wintery theme to the evening with snowflakes and even mulled wine! 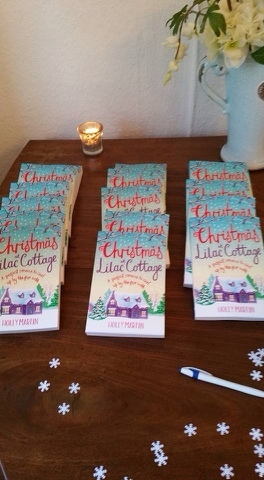 It was just great to see a big display of paperbacks ready to be signed by lovely Holly herself! And to make it even more exciting, these had mini book covers on depending on what flavour they were-how fabulous do these look! 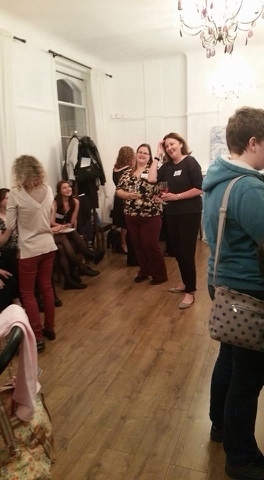 It was a great night with lots of lovely bloggers and of course some fabulous authors. 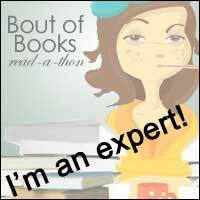 Here's me chatting to the amazing Kat Black who I was thrilled to finally meet. The whole evening was very enjoyable and it was so exciting to be able to see the book in all its glory and celebrate with Holly Martin who literally gives the best hugs, I highly recommend hugging her if you haven't already! I can't wait to read the book and get myself into the festive spirit and finally congratulations to this lovely author!